Q. My recent cholesterol test result included "non-HDL cholesterol." What is the significance of this number? Although you might assume total cholesterol is simply the sum of your LDL and HDL, it also includes very-low-density lipoprotein (VLDL). These particles carry triglycerides to tissues and eventually become LDL. Like LDL, it also causes cholesterol to build up on the inside of arteries, creating artery-clogging plaque. Both are considered undesirable, so the higher your LDL and VLDL values, the higher your risk of heart disease. 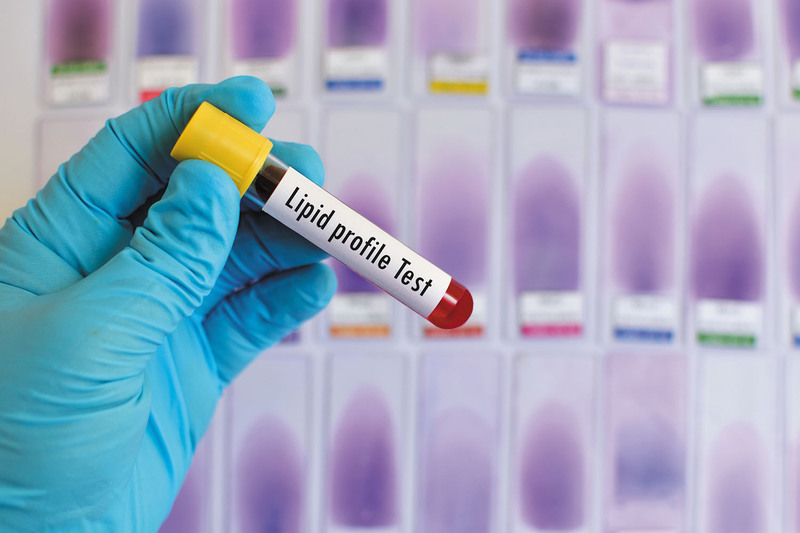 There is no simple, direct way to measure VLDL cholesterol, which is why it is normally not noted on a routine cholesterol screening. VLDL cholesterol is usually estimated as a percentage of your triglyceride value. In fact, although a direct measurement of LDL is possible, most laboratories do not currently do this. Instead, they calculate LDL using a simple formula based on your other lipid values. For most people, a calculated LDL provides a good estimate of the directly measured LDL. But a calculated LDL becomes less accurate as triglycerides get higher, especially above 400 milligrams per deciliter (mg/dL), which is considered very high. (Normal values are less than 150 mg/dL.) In such cases, the only way to get an accurate measurement is to measure LDL directly. Note that blood levels of triglycerides vary depending on when and what you have eaten, which is why most cholesterol tests are done after a person has fasted for at least 12 hours. That way, the results can be more easily compared between people. However, the non-HDL cholesterol calculation does not rely on a triglyceride value, so there is no need to fast; the results are similar whether you have fasted or not. Furthermore, the non-HDL cholesterol value reflects all of the major lipoproteins linked with a higher risk of cardiovascular disease. Some lipid experts argue that the non-HDL cholesterol value is better than the LDL cholesterol value for predicting heart disease. In fact, a common risk calculator (cvriskcalculator.com) relies on the non-HDL cholesterol number. So why do most physicians still focus on LDL values? Large clinical trials have shown that drugs such as statins lower LDL cholesterol levels and also reduce the risk of cardiac events. The lower your LDL, the lower your cardiovascular risk appears to be. Many guidelines also have established target LDL levels for different levels of risk. So for now, LDL remains the value of most relevance for doctors. — by Deepak L. Bhatt, M.D., M.P.H. For up-to-date information to help you or a loved one keep cholesterol in check, get the Harvard Special Health Report Managing Your Cholesterol.